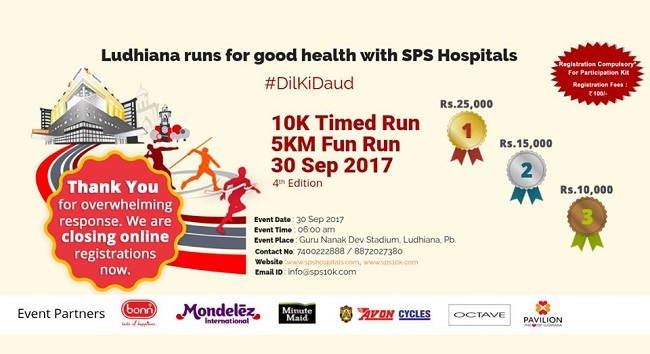 In Ludhiana On The Long Weekend? Here’s How You Can Make It Legendary! 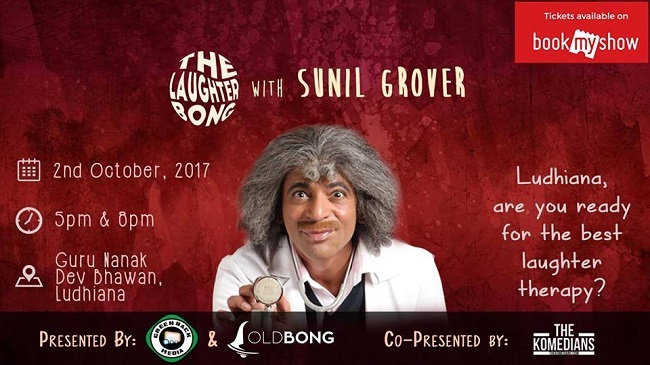 Gutti a.k.a Dr. Mashoor Gulati a.k.a Sunil Grover is coming to town to provide Ludhianvis with the much-needed rib-tickling comedy relief. Along with him will be his ever so funny and enterprising troupe. You shouldn’t miss this AT ALL! 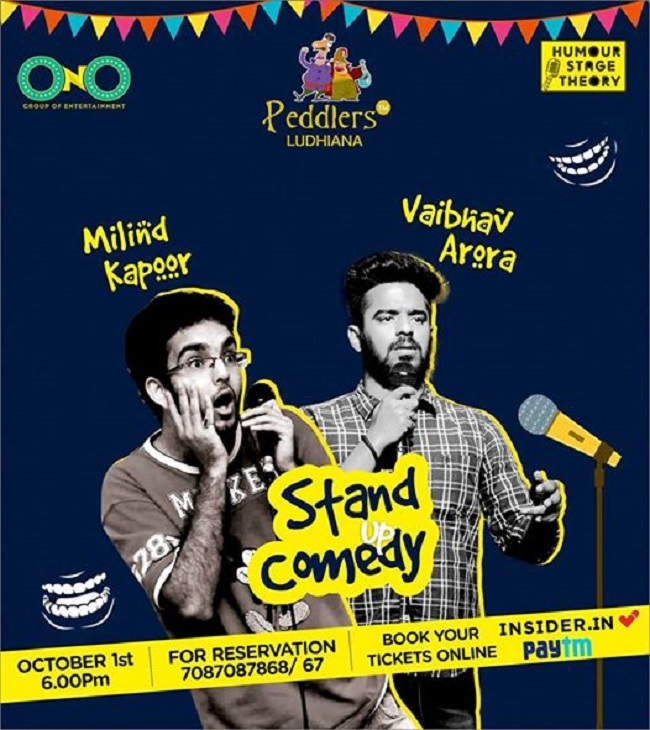 Book your tickets here on BookMyShow. Conventional workouts bore you? 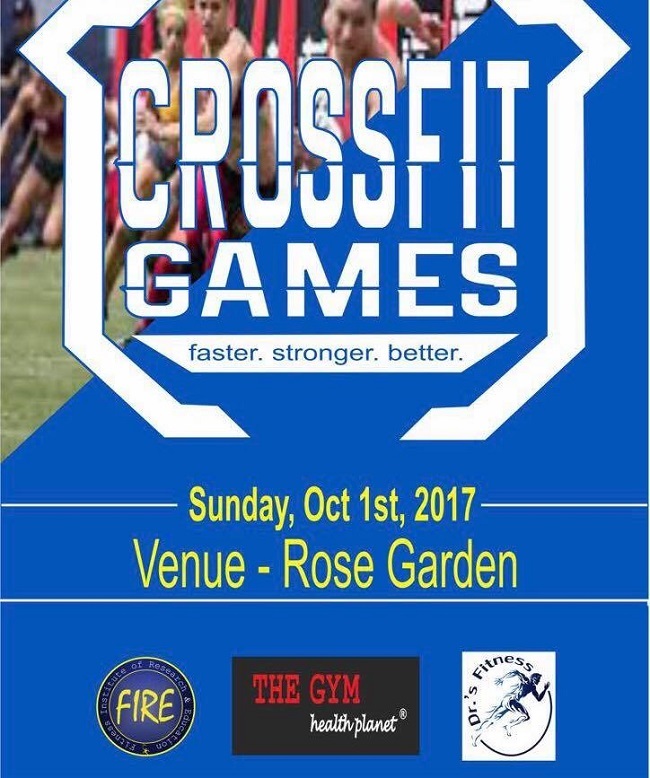 Try CrossFit and boot camp! They will change your attitude towards working out. We are loving the fact that The Gym is taking an initiative towards this! It’s never too late to start working out. There’s nothing more enterprising than a set of women who have their heart set on philanthropy and promoting the talent of fellow women. 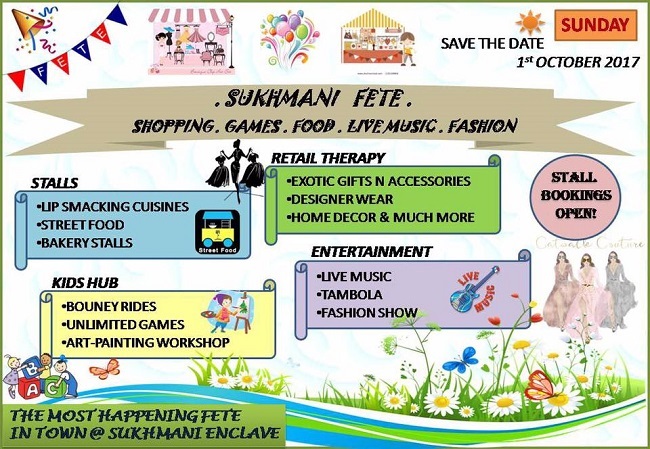 The Ladies of Sukhmani Enclave are putting up a fete which will have people from all walks and fields, be it fashion, home bakeries, lifestyle, interiors, decor etc. The best part is that part of the proceeds generated from this fete will go towards education and school uniform for underprivileged kids. Do check out this close-knit exhibit. The exhibit has come at the right time! Ladies, with Karva Chauth, Diwali and the wedding season starting soon, there’s a lot of shopping to be done. 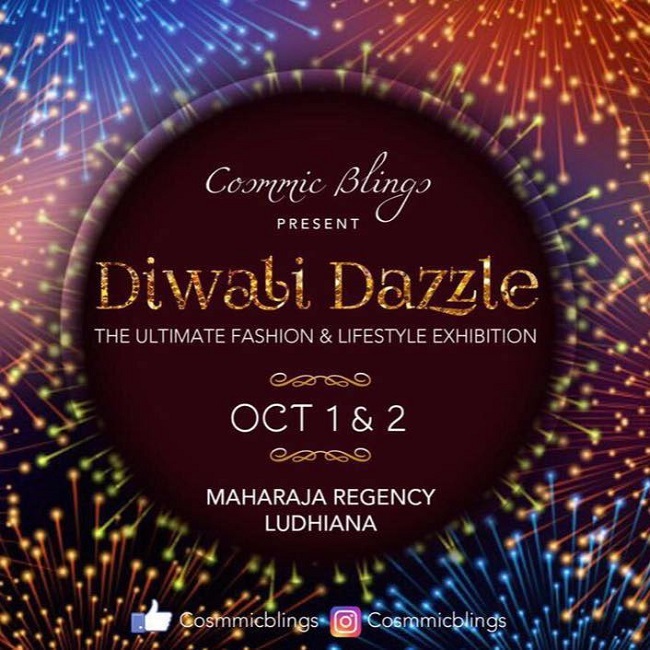 The Diwali Dazzle by Cosmmic Blings brings everything under one roof – be it clothes, jewelry, accessories, invites, you name it and the best exhibitors will be there. It’s called the wedding & lifestyle extravaganza for a reason! 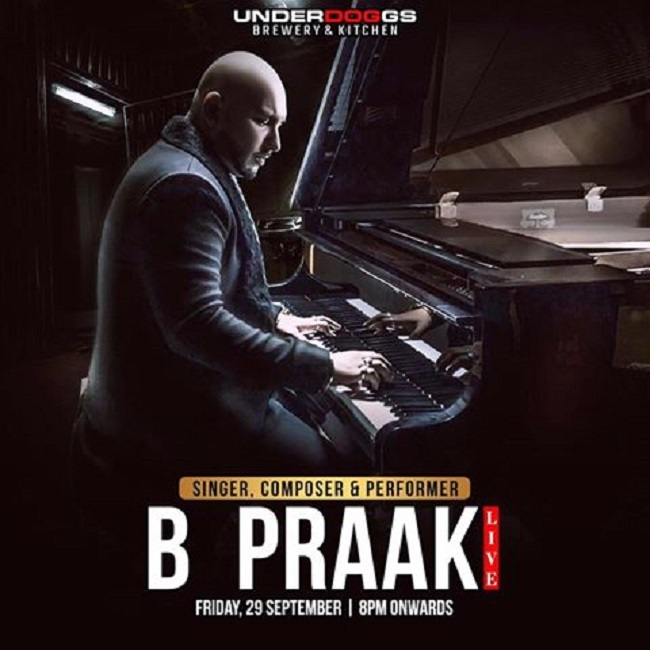 His latest track, Mann Bharrya, had us falling in love with B Praak . In case you haven’t, don’t miss out on the chance of hearing him live tonight at Underdoggs Brewery & Kitchen . 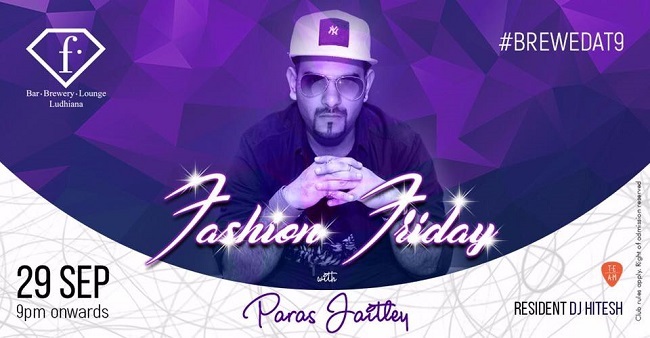 If you are in the mood for a melodious evening then head to F Bar and listen to Paras Jetly weave magic with his voice. He was a star at The Voice (India Season 2) for a reason. For more details, click here. 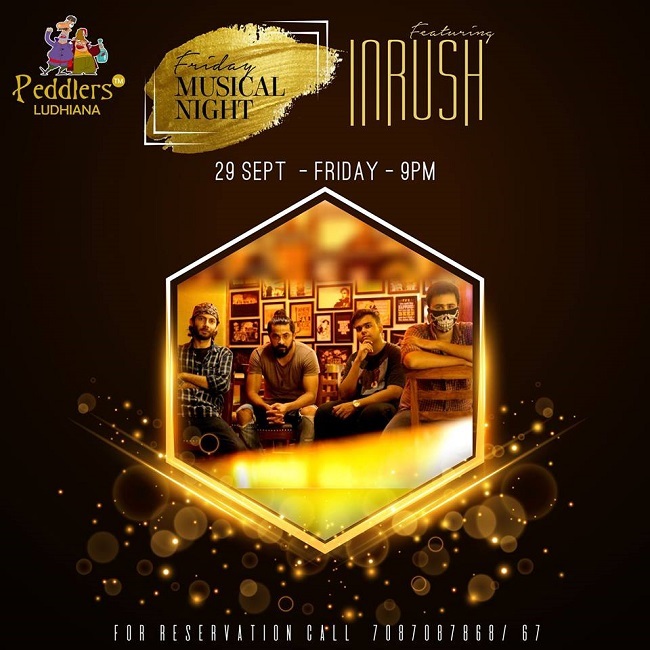 Dance the night away at Peddlers as Inrush gives their usual adrenaline-pumped performance. Nothing beats partying by the canal road. Harsat Band is playing at Urban Vibes tonight. Dance the night away! Looking for a change in your party scene? Drop by the newest member of the party clan of Ludhiana, Bourbon Broadway, and chill as Street Jammers take center stage. If your idea of a Saturday night is to go out for dinner with your fam and chill with some live English tunes, then The Bruu Kiln is the place to be this Dussehra. 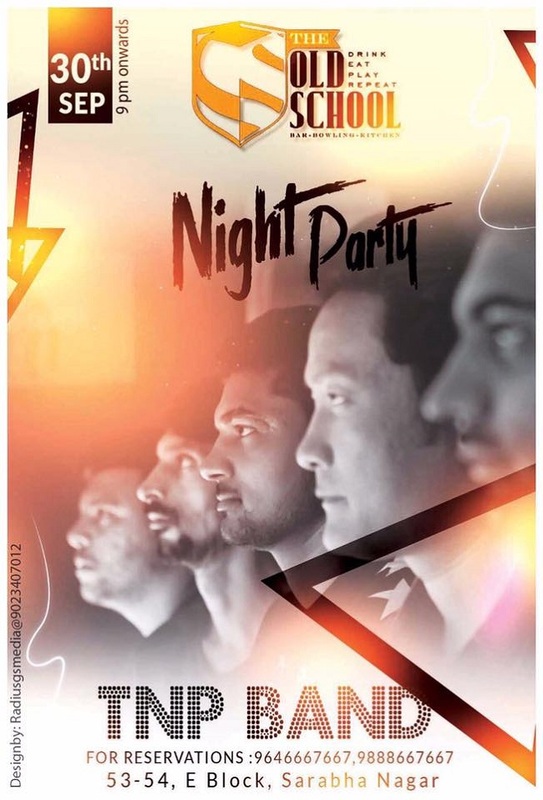 After all our favourite, Kunal Singh is back in the house to make Saturday night happening. 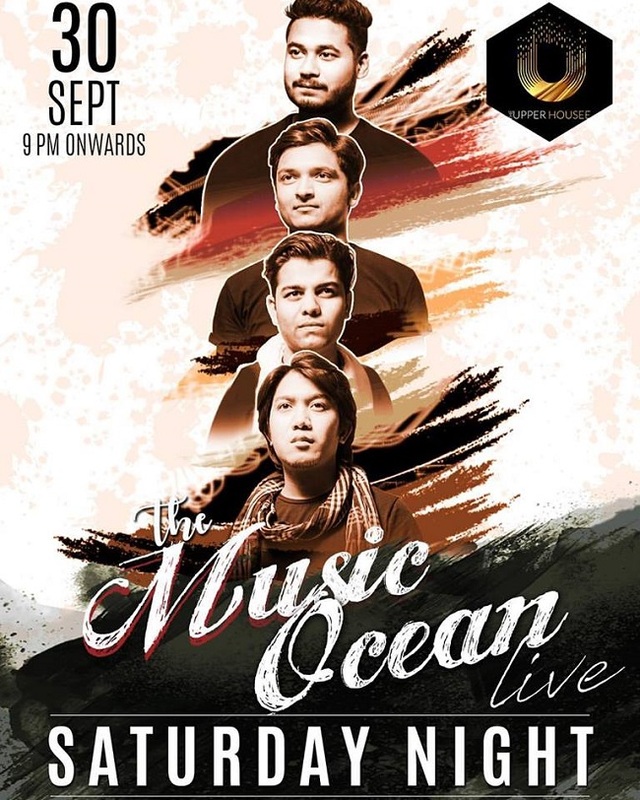 Fans of the Music Ocean Band, listen up! They are playing live Saturday night at The Upperhousee. Do drop by to check out their rocking performance and while you are there, don’t give their newly opened sky lounge a miss. We have heard it’s gorgeous. Combine bowling with beers and some rocking music by the TNP band at The Old School. The perfect way to end the week! If you want to chill in Sarabha Nagar or want to do some pub hopping, drop by at Unplugged Cafe N Bar and listen to Saptak band as they paint the town musical! 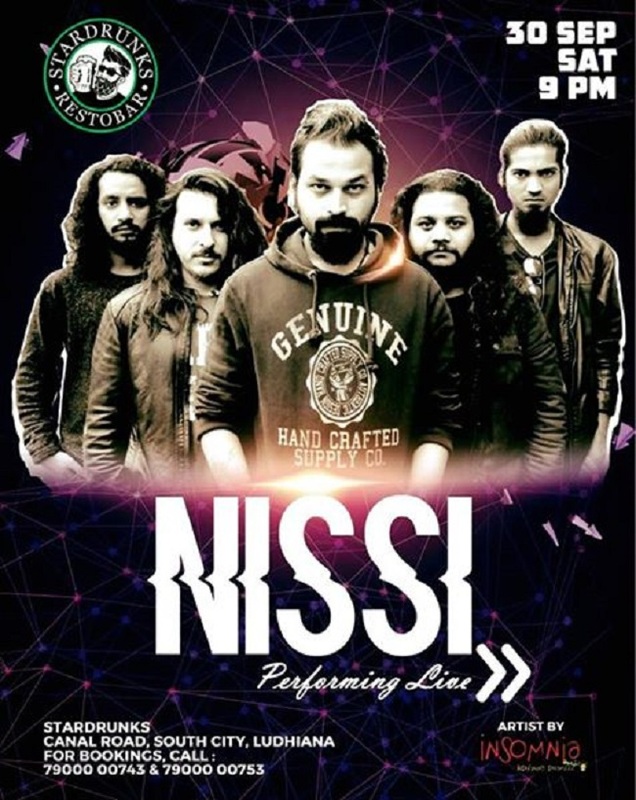 Party all night as Nissi performs live at Stardrunks. Put your dancing shoes on! This band can rock and how! Let your hair down and paint the town red with Shunya band. Ludhiana is becoming home to a great nightlife and the numerous musical nights on Saturday is proof enough. For some city feels, party at Ghanta Ghar! 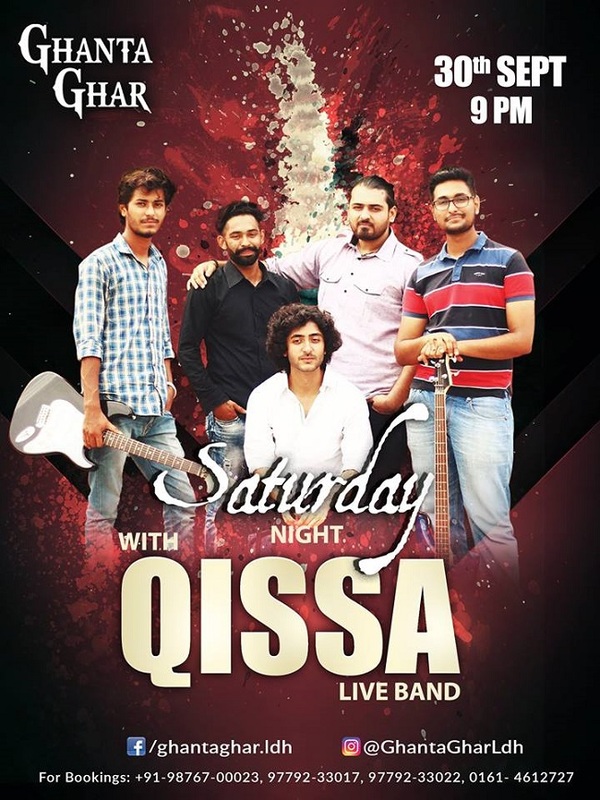 Our little birdie tells us that Qissa, The Band is playing live! Looks like Malhar Road is now turning to our very own HKV. Seriously try bar hopping this Saturday with your friends and spend some time at Rutba. Riaaz is playing live. Looks like our city now has a fetish for live performances. Call Sunday Date Night. Take your better half to a romantic dinner at Casa Blanco. 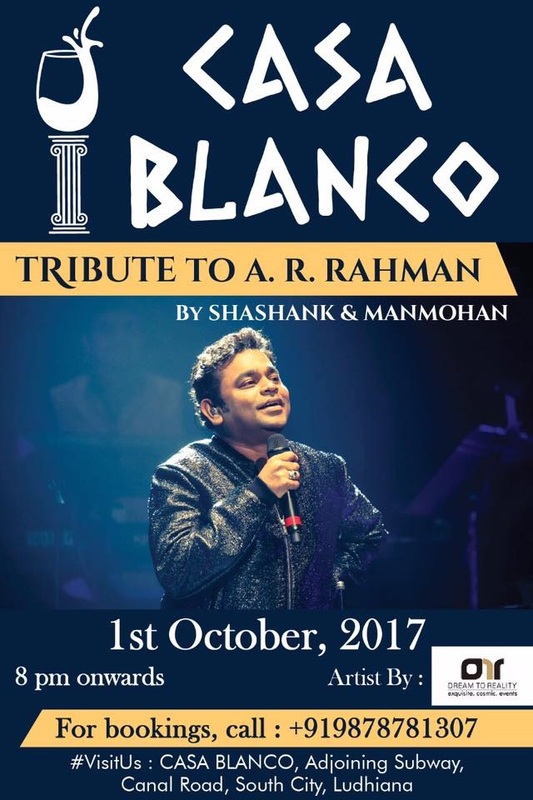 To add to the perfect setting, Shashank & Manmohan will present you with a beautiful combination of vocal & instrumental symphonies for an entire evening, as a tribute to Legendary A.R. Rahman. 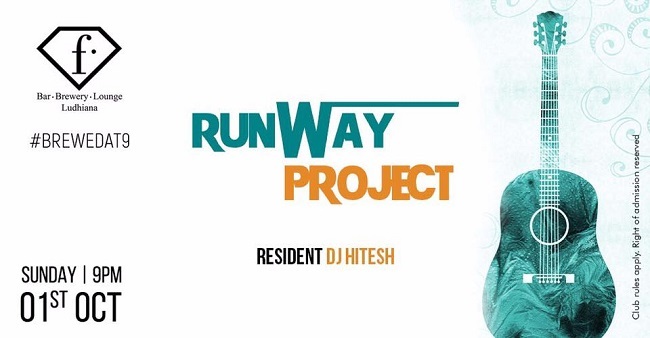 After such a happening Saturday, its only fair to spend a mellow Sunday at F Bar listening to some soulful songs by The Runway Project. The Gedhi Route Guide to spending this weekend in Ludhiana!